What pro bono assistance is available? Of the 140 CLCs that responded to a question about working with pro bono partners, 54.3% (76 CLCs) reported having a pro bono partnership. 72,047 hours of pro bono assistance was provided to these centres and their clients over the 2013/14 financial year, including 55,806 hours from lawyers for direct service delivery to clients. Specialist pro bono lawyers advising centre lawyers in particular areas of expertise for use in client matters (50.7% or 36 CLCs). contact a pro bono referral scheme or organisation in your state or territory. Pro bono legal assistance for your client? Help with a pro bono partnership or project? Please note that the Australian Pro Bono Centre is an independent centre of expertise on pro bono legal services in Australia and does not provide legal assistance or operate a referral scheme. A Pro Bono Referral Scheme or Organisation may be able to assist you to refer your client to appropriate pro bono assistance. Some law firms have well-established pro bono practices that may be willing to accept direct referrals. The National Law Firm Directory contains contact details and other information about the pro bono practices of Australian law firms that you can search by area of law once you have registered for access to the Directory. The ATSILS Pro Bono Guide provides information specifically for ATSILS on pro bono service providers, how to obtain pro bono assistance, and the range of services that might be available. If your client is an organisation, see our legal help page for Not-for-Profit Organisations. 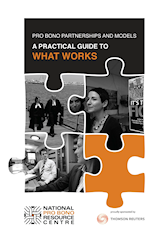 Our publication Pro Bono Partnerships and Models: A Practical Guide to What Works contains practical information on what works well in collaborative pro bono projects, including tips and case studies on how to attract pro bono partners and maintain effective partnerships. The National Law Firm Directory contains contact details and other information about well-established pro bono practices of Australian law firms that may be interested in pro bono partnership opportunities which you can access once you have registered for the Directory. The ATSILS Pro Bono Guide contains information specifically for ATSILS about obtaining pro bono assistance, including via collaborative partnerships. A Pro Bono Referral Scheme or Organisation may be able to assist with brokering pro bono relationships. Advertise volunteer (and paid) opportunities at your organisation on the Centre’s Social Justice Opportunities website, Facebook page and Twitter feed. This is a free service. 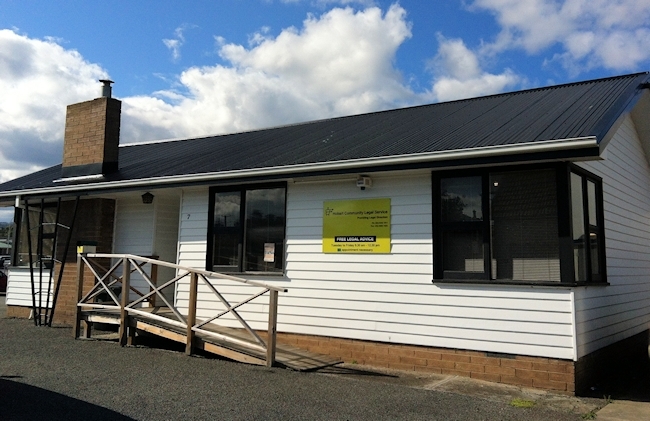 Provide information to potential volunteer lawyers and law students about whether or not your community legal centre is currently seeking volunteers on the Centre’s CLC Volunteers website.